Mold is a common fungus found in many outdoor and indoor spaces, year-round – this problematic fungus grows best in damp environments, and can have a hugely negative impact on your overall air quality and health. Therefore, it’s important to take preventive and proactive steps towards mold removal in your Terre Haute home. 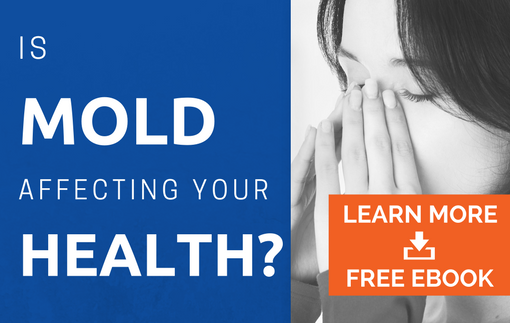 Continued exposure to mold can causes a wide variety of unpleasant symptoms and illnesses, including headaches, upper respiratory infections, and nose and throat irritations. Not only this, but mold can virtually destroy insulation, drywall, carpet, and other porous materials – leaving you with costly damage and home repairs on your hands. If mold is found in your Terre Haute home or elsewhere, it’s important to contact a professional as soon as possible to assess the situation through mold testing and promptly begin the mold remediation process – at AdvantaClean of W Central Indiana, we’re focused on effectively saving properties before fungal growth threatens to destroy your Terre Haute home or business! We’re licensed in both commercial and residential mold inspection, and our team is well-versed in the many facets of quality mold removal. Preventing serious mold growth before it begins is often less costly and more effective than dealing with the aftermath of a fungal explosion.